August has 3 Wednesdays, so this month you get an extra helping of Superman in the Bronze Age. This time out, we learn about a miracle and you’ll find out why I consider this a birthday issue even though there are no birthdays mentioned. 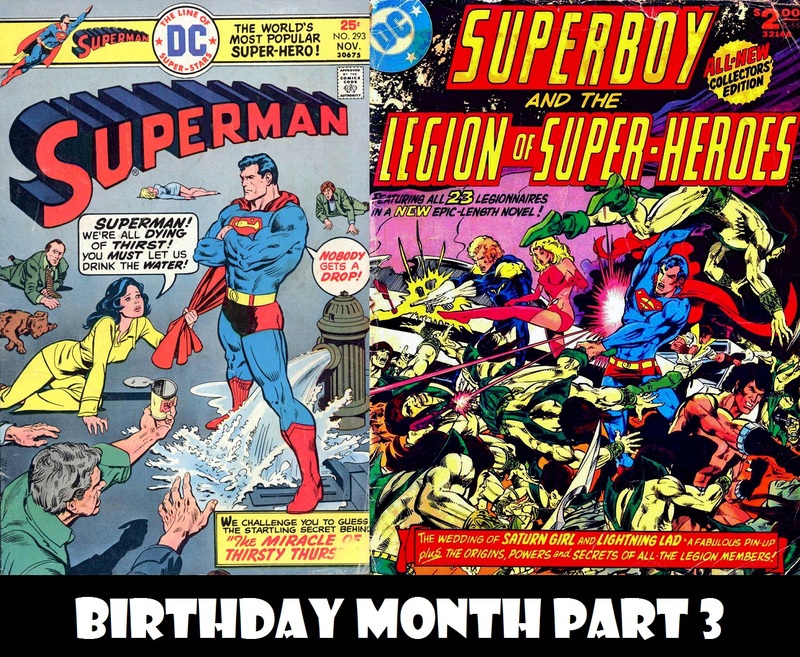 Plus, David finishes up his coverage of the Superboy and the Legion of Superheroes Treasury Edition adventure! As if that weren’t enough, there are ads, your answers to the super-question and find out what happens when I come across a Hostess Ad that was not already dramatized elsewhere.